We have been doing speech therapy with our daughter since she was only a few months old and was diagnosed with hearing loss. We have learned many things during this journey and I am happy to say we have worked with some great professionals and met some wonderful families along the way for support. 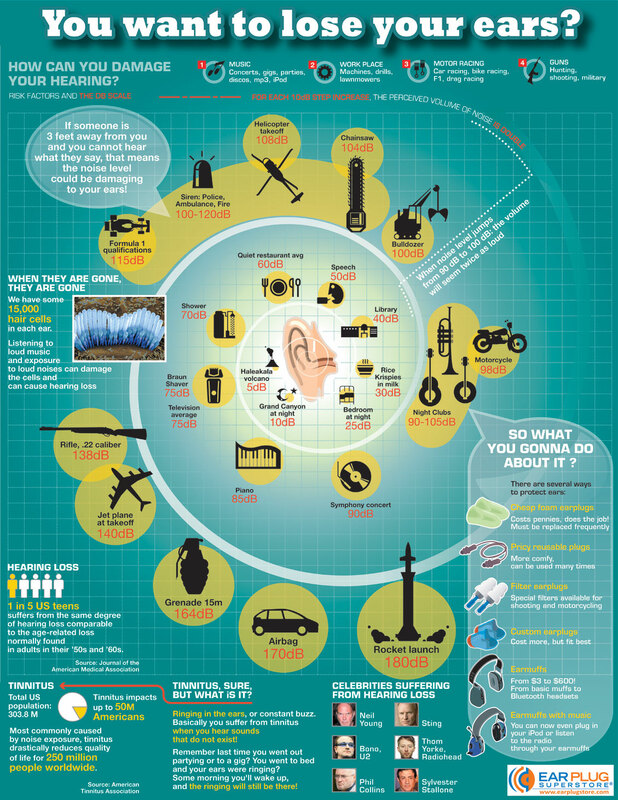 The month of May is National Speech and Hearing Awareness Month and a great time to bring awareness to the risks of common sounds and the damage that can be done from them. Be sure to check out the Infographic below for information .